The number of languages is constantly growing. We may add the language you need, please contact us to get more details. Navixy gives you an opportunity to choose the measurement system and switch on transliteration for SMS. 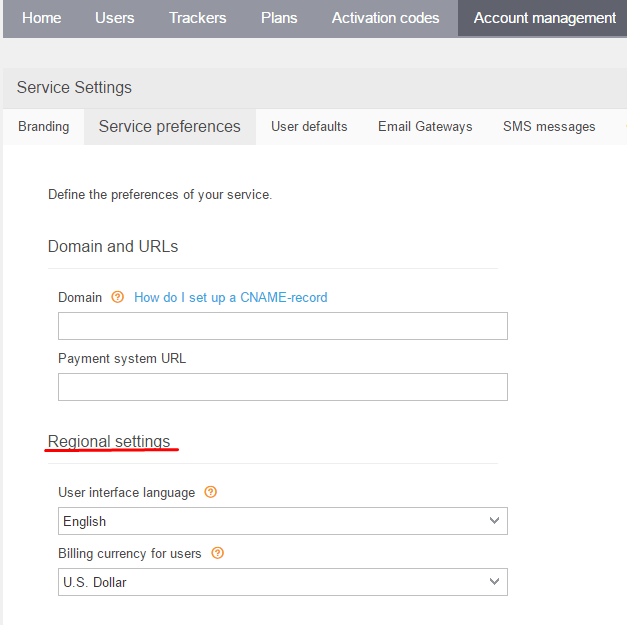 You may set it up in Account Management→User Defaults→Regional Settings.